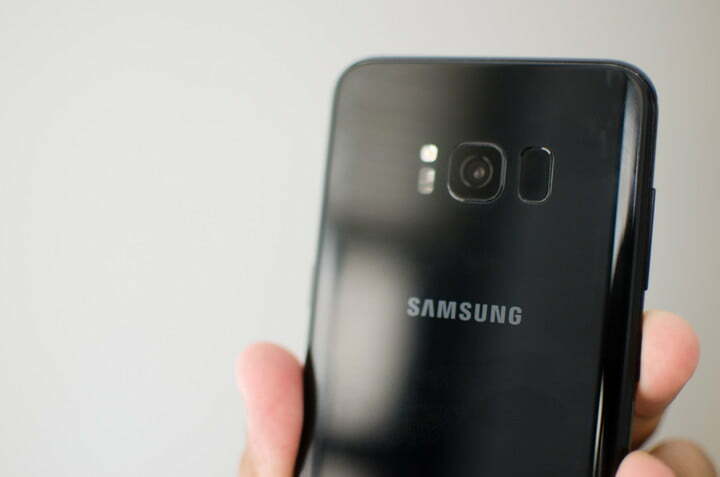 Samsung Galaxy S8 Review – With pre-orders through the roof, it looks like Samsung’s Galaxy S8 and S8 Plus may be unmatched in sales this year (perhaps until the next iPhone at least). It’s certainly a win for the company, considering its new phones are $100 more than we’re used to paying. More importantly, this is Samsung’s first major device since it recalled the ill-fated Galaxy Note 7, and it looks like people are hungry for a successor. The Galaxy S8 is worth the hype and the wait since the year-old Galaxy S7 Edge (which frankly looks dated now with its home button). But in a time where you can get a fantastic smartphone for $400 or less, is it worth dropping $750 or more on the S8? We think so, if only for its brilliant screen, but it is a big ask if money is tight. The Galaxy S8 has exceptional build quality, design, and a stellar displays, not to mention plenty of power to crush any task. Let’s take a closer look. So far, the Galaxy S8 is the prettiest smartphone of 2017, and it will certainly be tough to beat. It’s smooth and soft to the touch, and the all-glass design means you won’t feel a disconnect between the back and the front of the smartphone — it’s seamless. But we can’t talk about the S8’s design without first addressing its brilliant screen. Both the S8 and the S8 Plus have a resolution of 2,960 × 1,440 pixels, allowing for crisp image quality. The Super AMOLED screen gets impressively bright, offers darker blacks, and its mobile HDR Premium certification means it boasts greater color volume, meaning you can watch colorful High-Dynamic Range (HDR) content, which is the new hot thing in video. This has the best screen we’ve ever seen on a smartphone. To showcase this vibrant display, Samsung added skimpy bezels (edges around the screen) on the top and bottom, and utilized its Edge display. As such, the screen takes up 83 percent of the front panel, and it’s absolutely the first thing anyone will notice on the phone. It looks “futuristic,” my sister told me; she hardly cares or pays attention to technology at all. The bigger display improves the smartphone experience. Even sending an email feels nice because the screen makes well-designed apps look even more gorgeous. But while eliminating bezels may be the current smartphone trend, gripping the phone without triggering the screen is difficult. It takes some getting used to, but that’s because we have to rethink smartphone sizes, and what they mean. The Galaxy S8 Plus is 6.2-inches, and the S8 is 5.8-inches — those are some of the largest screens we’ve seen on a smartphone. But as the screens have gotten larger, the smartphone’s frame has stayed nearly the same size. 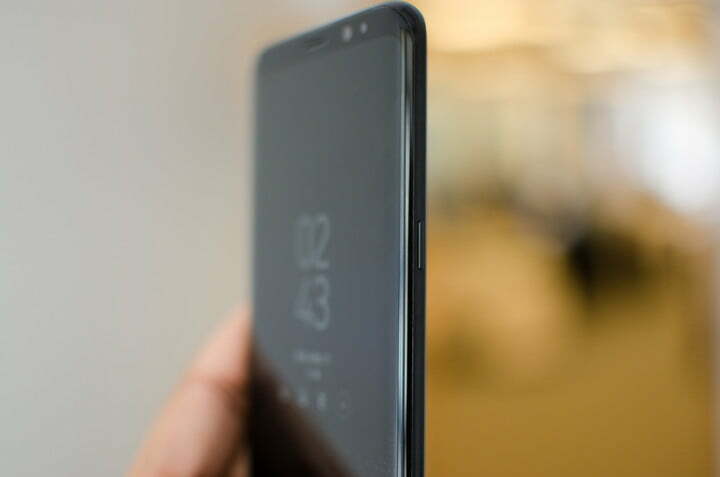 The curved edge-to-edge screen coupled with minimal bezels make it tough to grab the phone from a flat surface at first, for example, but it gets easier after a few hours. You also may find yourself accidentally triggering the screen when gripping the phone (more so with the S8 Plus), but again we adapted fairly quickly. You probably will, too. The all-glass design means the phone is slippery and fragile, not to mention a fingerprint magnet. (Make sure you grab a case and keep a microfiber cloth handy at all times.) You’ll find the power button on the right side, and the volume rocker and Bixby button on the left. Bixby is Samsung’s new Siri, and we’ll talk more about it later. 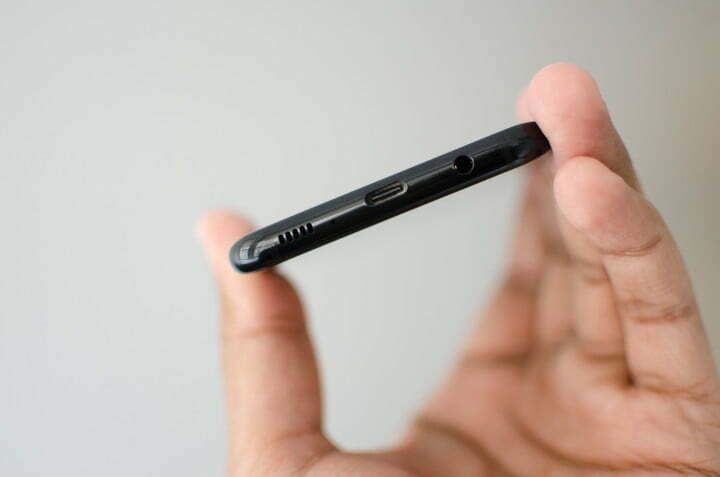 The headphone jack is on the bottom, to the left of the USB Type-C port. To the right of that port is the phone’s sole speaker, which is bottom-firing, like the iPhone. This has the best screen we’ve ever seen on a smartphone. The decision to only go with one bottom-firing speaker is unfortunate. As is the case with most single, bottom-firing speakers — such as the ones on the Pixel and the LG G6 — our hands end up blocking sound when holding the phone horizontally. The S8’s speaker quality is pretty good, but it doesn’t get as loud as the iPhone 7. The back of the phone feels like an afterthought, though perhaps it’s simply overshadowed by the beauty of the front. There’s nothing special about it. The design looks almost the same as the Galaxy S7. The camera sits flush, next to the flash and heart rate sensor, and a fingerprint sensor. 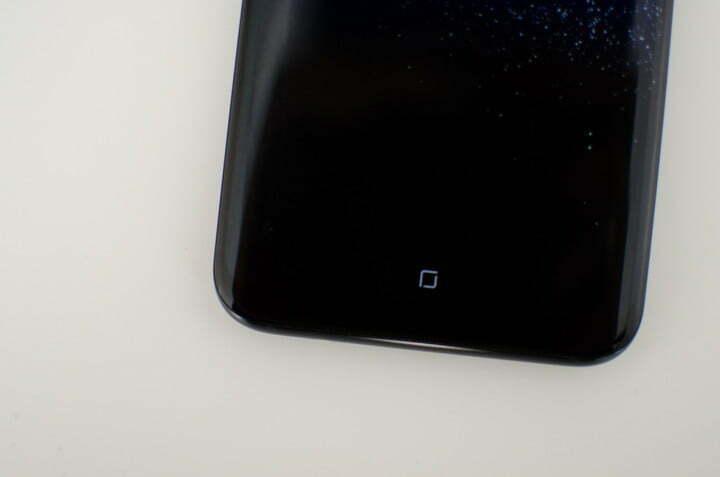 That’s right, for the first time Samsung has removed the home button from the front of the phone. Despite the rumors, the company hasn’t embedded a fingerprint sensor in the display so you’ll have to use the one on the rear. This causes two major problems, but we’ll dive into that later. Samsung makes some of the best smartphone hardware, and the Galaxy S8 series is all the evidence you need. Both models feel incredibly smooth, thin, and the construction is seamless. We suggest opting for the S8 over the S8 Plus, because it’s compact and far easier to hold. The Galaxy S8 and S8 Plus are the first phones to feature Qualcomm’s Snapdragon 835 processor (international variants use Samsung’s Exynos 8895), which means it’s supposed to deliver 27 percent better performance than phones that use the Snapdragon 821, such as the Google Pixel and the OnePlus 3T. Qualcomm also claims the 835 is more energy efficient, though we haven’t seen a noticeable improvement in battery life from last year. You’ll find both S8’s have 4GB of RAM, and 64GB of internal storage — though you can expand it with the MicroSD card slot. Initially, we ran into a horrible bug. Our Galaxy S8 Plus was stuttering all over the place, particularly in the notification drawer and the Recent apps section. A factory reset fixed the issue, and we’ve tested each of our originally installed apps to figure out what caused the issue, but we can’t figure out what went wrong. We’ll update this review if we run into the problem again. So far, it was an isolated problem. Now, the S8 flies with almost zero hiccups. We tested games such as Asphalt Xtreme and FIFA Mobile, and found no performance issues. Dawn of Titans ran well for the most part, but we did see some occasional stutters. We had no problems moving through apps and multitasking. For reference, with Geekbench 4 the Pixel earned 1,665 in single core and 3,691 in multi-core; the iPhone 7 Plus received 3,367 in single core and 5,491 in multi-core. We’re hoping we don’t see the initial issues again, and we’re enjoying the smooth performance from the Snapdragon 835. Still, we don’t think the Galaxy S8 offers smoother day-to-day performance than the Pixel, and that’s likely because Google can optimize its software and hardware far better than anyone else (except Apple). Samsung phones also tend to slow down a little over time, so we’ll keep you updated if anything changes. TouchWiz, Samsung’s Android skin, has never been the company’s forte. At times, it had a less than appealing design, and bogged down the operating system. That has changed with the Galaxy S8. There is a clear, attractive design aesthetic — with uniform app icons and slick fonts. The lack of a physical home button also gives the smartphone a more modern look. Samsung has embedded a pressure-sensitive home button at the bottom-center — it’s not just an on-screen button, because you can press and hold it to go home even in full-screen apps or if the screen is off. One of the first things I did when setting up the S8, was reverse the layout of the navigation icons. 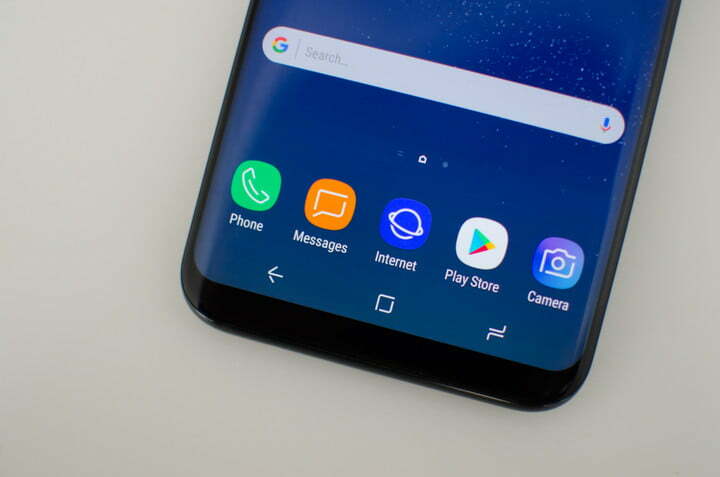 Samsung has gone against every other Android manufacturer for years, offering the Recent apps icon on the left, and the back button on the right. Well, on the S8 you can finally reverse it thanks to the on-screen navigation icons. Choice is a prevalent in Samsung’s latest interface. You can choose where you want the brightness slider on the notification drawer; you can customize the display resolution; turn the Edge screen on and off; toggle Bixby on or off; use the LED indicator or not; turn on basic swipe gestures for the fingerprint sensor … you get the idea. There are a ton of features in this phone — most of which have been in Galaxy devices for a while — and they all feel polished and useful. There is a clear, attractive design aesthetic. I recall using Smart Stay on my Samsung Galaxy Captivate back in 2011 — it keeps the screen on as long as your eyes are staring at it. It was far from good then, but it’s useful on the S8. Multitasking also offers more options than any other Android device — in splitscreen mode, you can reverse the app position or trigger picture-in-picture mode. You can even swipe from the top corners of any supported app to make it a floating window, and it works surprisingly well. Even Bluetooth is improved. 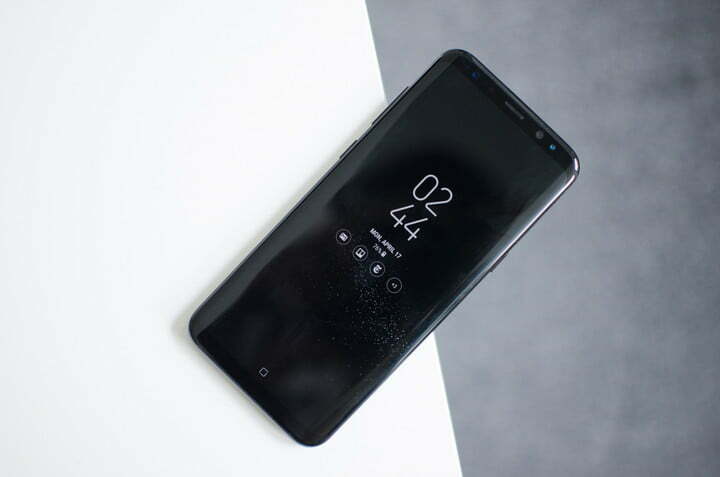 The Galaxy S8 is the first smartphone to utilize Bluetooth 5, which has 4x the range of Bluetooth 4.2, 8x the data throughput, and 2x the data speed. That means you can walk up to 200 meters (in direct line of sight) from your device and still listen via your Bluetooth-connected earbuds — that’s a lot further than ever before. The upgrade means you can stream music to two different Bluetooth devices at the same time. We connected a pair of Bose wireless headphones and a speaker from Cambridge Audio — the two played music perfectly in sync, and the pairing process took less than 1 minute. The facial recognition technology on the Galaxy S8 is also noteworthy. Sure, it may not work 100 percent of the time — especially if you’re moving or are in a darker environment — but it was often faster than using the fingerprint sensor. You can also choose to use the iris (eye) scanner, though we didn’t find it as effective. The fingerprint on the rear is the third option, and here’s where those two downsides come into play. The fingerprint sensor is almost impossible to reach on the Galaxy S8 Plus — and that’s coming from someone with large hands. And even if it is reachable, you probably won’t make use of the fingerprint gestures, because the placement is so unnatural. The second problem is how your fingers will naturally touch the camera sensor on both models. Samsung knows this is a problem, and even warns you to clean the camera often to make sure there are no smudges. But it all could have been avoided if they placed the sensor lower, like almost every other Android phones that opts for a rear sensor. All in all, the software experience on the Galaxy S8 is surprisingly useful, and you can toggle most options on or off to your heart’s content. The 12-megapixel rear camera hasn’t changed much from the Galaxy S7. That’s not a bad thing. The S7 also offered stellar photos. In broad daylight, Galaxy S8 photos have great picture quality and accurate colors, but things were a little trickier in different lighting conditions. Occasionally, we had to take a photo twice to make sure it wasn’t blurry. Low-light photos sometimes suffered in picture clarity, but other times photos were relatively sharp in dark environments. We wish Samsung had done something different, new, or exciting with the rear camera, like a dual-camera setup. At least there are quite a few modes to choose from, including Selective Focus (like Apple’s Portrait Mode), Panorama, and even a Pro mode, where you can change the shutter speed, focus, and ISO if you’re more experienced with a camera. But the 8-megapixel front-facing camera is where the camera experience shines, largely because it comes with a variety of stickers, filters, and masks, similar to what you’d find in Snapchat. They’re fun, and work pretty well. We imagine they’ll take off in popularity if Samsung adds new content often (they even work on groups). Speaking of groups, Samsung has a “Wide Selfie” mode that lets you snap a photo, then twist the camera to your left and right to capture your friends. The photos are stitched together and the end result is surprisingly seamless. It’s a neat way to add group selfie capability without using a wide-angle lens. Bixby? Bixby? Are you there? If Bixby, Samsung’s new digital assistant, piqued your interest in picking up a Galaxy S8, you will be disappointed. Voice commands are not available yet and won’t be here until “later this spring.” So that leaves Bixby Home, Reminder, and Vision. Home is an assortment of random information, such as your current step count, next calendar event, the weather, what’s trending on Twitter, and even a random GIF from Giphy that we’re not really sure how to use. It’s so much easier and faster to go into these respective apps, because the Bixby button is ridiculously slow and unreliable at activating Bixby Home. Reminders is the equivalent to setting reminders on Google Inbox or with Google Assistant (which is also available on the S8 by pressing and holding the home button). You can stream music to two different Bluetooth devices at the same time. That leaves Vision, which is arguably the most useful feature of the bunch at the moment, but it’s use cases are limited to specific moments, like when you see a shoe and want to shop for something similar — point the camera to the product and tap the Bixby icon. You’ll be directed to an Amazon search link, or Bixby can show more images of similar products. I’ve used it once or twice, and it largely feels like a gimmick. Your mileage may vary, though. Bixby very much feels like an unfinished product. If the assistant is one of the reasons you’re excited about the Galaxy S8, don’t expect it to be as useful as Samsung claims. The Galaxy S8 Plus packs a 3,500mAh battery, while the smaller S8 has a 3,000mAh capacity. We found the S8 Plus to last a full day with moderate to heavy use — we ended up with around 25 percent around 8 p.m. after a long day of taking photos, music streaming, and browsing. On a day with regular use — where we checked and responded to notifications, listened to music, and did some light browsing — we came home with a little under 40 percent by 6 p.m.
We’ll need to spend more time with the Galaxy S8 to see how long it lasts, but we’re expecting more or less the same results due to the smaller screen. Both devices support high-speed wireless charging, which is always a plus, as is the USB Type-C connector, which is probably new for you, but will soon be a standard on most devices. Samsung offers a standard 1 year warranty for the Galaxy S8 and Galaxy S8 Plus. That covers manufacturing defects, but not much else. The company has started an advanced warranty program called Premium Care, which will run you $12 per month (first month is free). This plan covers accidental drops, cracked screens, water damage, and mechanical defects. Samsung will provide you with a new or reconditioned device, though you’ll have to pay a $99 deductible. The device is either shipped or hand-delivered to you. With Premium Care, you also get access to help via HelloTech, a company that will send authorized technicians to teach you about all the features on your phone. The Galaxy S8, in both its sizes, is an excellent smartphone with great build quality, a fantastic screen, solid cameras, and standard daylong-battery life. The Bixby voice assistant is underwhelming, but you can turn it off and opt for Google Assistant instead (or use both). Bixby will get better over time, we hope. If you prefer compact phones, the standard Galaxy S8 is your best bet. The S8 Plus might have slightly longer battery life, but it’s unwieldy for many hands (especially reaching that fingerprint sensor). Yes. There are a ton of good smartphones that cost less than the Galaxy S8 and S8 Plus, such as the Google Pixel and the LG G6, or even the iPhone 7 if you’re not looking for an Android device. We also recommend a number of cheaper smartphones. However, none compare to the Galaxy S8’s display. It should last you a little longer than two years. 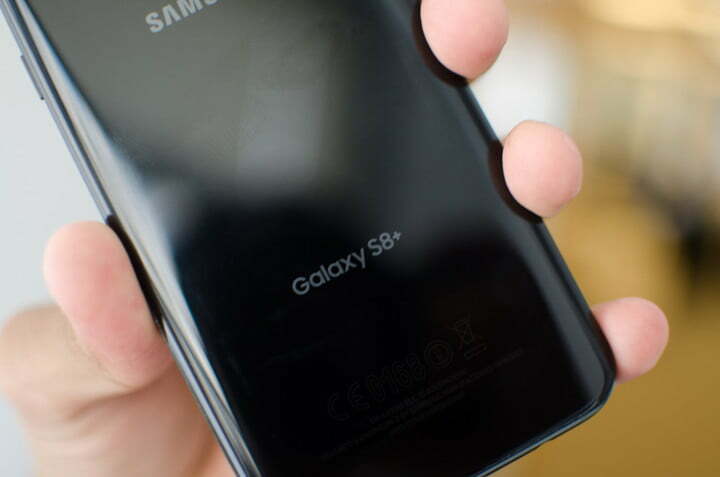 Samsung, and most Android manufacturers, stop supporting devices after two years. Expect the S8 to receive the same treatment. You should know that Samsung also delivers software updates far later than when Google rolls them out, so don’t expect the next annual version of Android (Android O) any time soon after its release this fall. Yes. If you have $750 or more to spare, the Galaxy S8 and Galaxy S8 Plus are among the best Android smartphones you can buy right now. It’s an incredible amount of money, though, and you should note the plentiful number of more affordable options. Still, if you’re eyeing the S8, you’re likely looking for the cream of the crop. Well, you’ve found it.